Brand Betrayal – why so much anger? – HubNut – celebrating the average! Brand Betrayal – why so much anger? 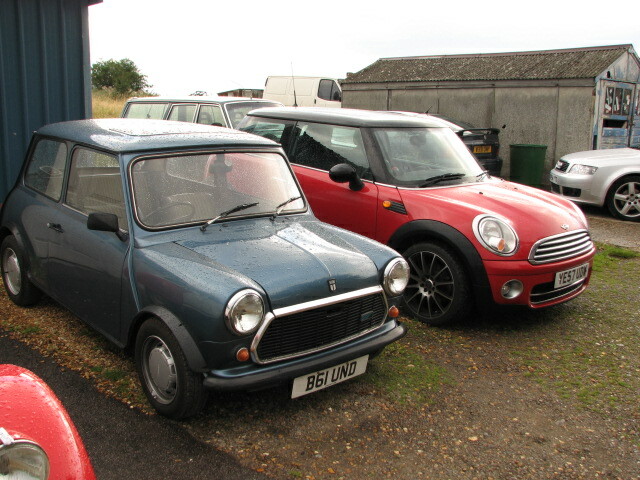 Are these both Minis? My wife says not. As the picture shows, she may have a point. But it’s astonishing how passionate people are about their brands. A lot of the anger seems to be that BMW bought The Rover Group, then sold it again, keeping the Mini ‘brand’ and using it to their own ends. The history that BMW presents is one of continuity, when Mini fans just see their favourite car killed off, and new, horrible, modern thing suddenly presented as an extension of a classic design. The same thing happens in the Citroen world. When the press started to bleat that the Citroen C3 Pluriel was the new 2CV, lovers of the Tin Snail worldwide could be heard muttering something under their breath that sounded very much like morse-ship. Giving a car a curvy roof and an utterly stupid folding roof that obscured the rear window was in no way recreating the hugely popular simplicity of the Deux Chevaux. It was just a horrific assumption by a modern manufacturer that a few design touches would cause a flood of nostalgia and huge sales would result. They didn’t. Not even when they tried launching a Charleston version. The Mini on the other hand, has been an enormous success. Fair play to it. Many British jobs have been created to support it. It may have tried the same trick as the C3 Pleurisy, but did a much better job on account of (whisper this) being really quite good. Sure, the suspension is hopeless, but that just makes it more like the original. I can see the appeal of a MINI in just the way I can’t with a C3. Abject stupidity and appalling roof design. Bad branding. Personally, I wish the Citroen name had died off long ago. With recent developments, perhaps it will. Perhaps it should. You see, Citroen has decided to launch DS as a new brand. Posh Citroens will now be badged without chevrons and without André Citroën’s name appearing anywhere upon them. That’s fine, as I find the DS range very hard to stomach anyway. They seem to be a range of hideously impractical trinkets designed for people who care for looks above all else. This goes entirely against that of the 2CV, where its curious style comes from the fact that it was designed to be practical first of all. That leaves Citroen as the poorest partner at the PSA Group. Parent company Peugeot sits somewhere between the two brands, so new Citroens are likely to be budget-based. Not a new philisophy – it is one that has given us such ‘exciting’ cars as the LNA, Saxo and Xsara Picasso. For a time, quirky, stylish and hydropneumatic-suspended Citroens lived on. But they’re now almost entirely gone. Which is why perhaps I feel no strong attachment to Citroen. After all, it shows scant support for older models. It is even crashing the original DS’s 60th birthday celebrations in Paris to launch its new, horribly blingy range. Some enthusiasts are outraged by this and have refused to take part. I can’t say I blame them. You see, just because I like older Citroens does not mean I must respect the current models. Citroen’s glory days where when Michelin owned the company, and used it more as a marketing tool for its tyres than a serious profit generator. Citroen has been in rather sad decline since Peugeot took over in 1975. 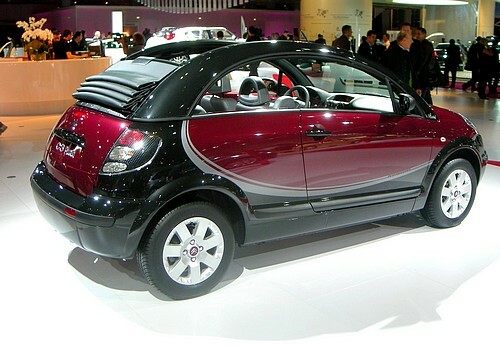 Gradually, the individuality and engineering excellent that typified a Citroen was ebbed away. I see very little link between the Michelin-era Citroen and that of the modern day. But many do. That’s typical of many companies. I preferred Land Rovers when they felt like they’d been developed in a shed. Volkswagens used to have a feel about them that was very different. Very robust. It’s hard to tell a Golf from a Kia these days. Even Peugeots used to be better in the old days. They were so robust that you’d choose one over a Volvo. Even as late as the 1990s, Hondas felt like tiny, lightweight, well-engineered marvels in just the way that modern ones don’t. These days, brands owe very little to their heritage. They’re all about the marketing and nothing more. Individualism is frowned upon as too risky. When you look at the complete lack of profit in the first generation of Smart, perhaps its inevitable. Ford has long proved that you can make a lot of money with dull and unexciting and the most individual modern motoring efforts are nothing more than pastiches of past glories. Why can’t these companies come up with NEW glories? What will the ‘retro’ cues be in 30 years time? Not that I care too much. For me, older cars provide all the answers I need.